Andy Warhol was considered as the most influential American artist of the 20th century. In an interesting turn of events, the artist’s previous work of art which was not known to anybody has been discovered by a computer club in his hometown of Pittsburgh. The artwork which was reportedly found by members of the Carnegie Mellon University computer club was stored in a floppy disk which dates way back to the year 1985. The school also announced that the art was stored in the archives of the Andy Warhol Museum. The famous images on the floppy includes a self-portrait Warhol along with some of his best subjects such as yesteryear Hollywood actress Marilyn Monroe, Campbell's soup cans and Botticelli's Venus. The university even announced that the great artist's early exploration of software imaging tools show new and innovative ways due to which it was discovered that the experienced artist was way ahead of his times. The University further claimed that since the files were stored in an unknown format the forensic experts had to carefully unpick it in order to reveal the 28 never before seen digital images. Reportedly Warhol's signature was there in 11 of the famous images, all of which were judged to be his typical style by experts hailing from the Andy Warhol Museum in Pittsburgh. However there is one major point of concern as there are a few duplicates among the 28 images, while in some other pictures the authorship details are not very clear. A New York based artist Cory Arcangel unearthed the disks following Warhol's experiments with floppy disks from YouTube. 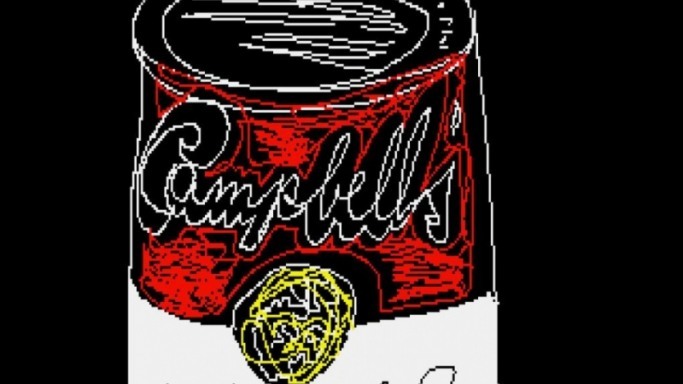 In the year 2011 Arcangel reportedly approached the Andy Warhol Museum and then Carnegie Mellon, where the university said the student computer club has good expertise in restoring vintage computers.